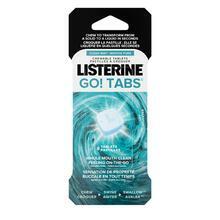 LISTERINE ULTRACLEAN® GUM PROTECTION Antiseptic Mouthwash is rated 4.7 out of 5 by 9. The best part of visiting the dentist? The free toothbrush, of course. But seriously, it’s that super-clean feeling that makes the visit well worth it every time. Feel that way every day with LISTERINE ULTRACLEAN® GUM PROTECTION Mouthwash! It fights plaque and tartar buildup and contains EVERFRESH™ technology, so that dentist-clean feeling will last up to 3x longer vs. brushing alone. It’s also validated by the Canadian Dental Association to prevent and reduce gingivitis better than brushing and flossing alone when added to your routine. Rated 5 out of 5 by Deedeemcq from my mouth feels super clean afterwards I have been using listerine mouth wash for a couple of years twice a day. I cant go without it now even when away on vacation. If I run out, my mouth just does not feel clean without it.it gives a nice minty freshness afterwards that seems to last a while. Leaving you with the confidence of knowing you have fresh breath and that you have killed bacteria that only brushing does not kill. And ive not had an cavities in quite a while. Rated 5 out of 5 by Jaeoklim from First thing i do in the morning. Everytime I wake up in the morning. 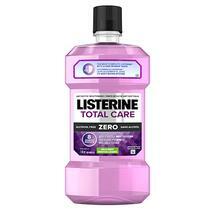 I go to washroom and rinse my mouth by listerine. It makes me feel fresh and also i totally wild awake :) Because of fresh smell and fresh feeling. I would love to recommended to everyone i know. And i am from south Korea, even we have a lots of korean mouth wash brand product Listerine is themost famous mouth wash in korea. 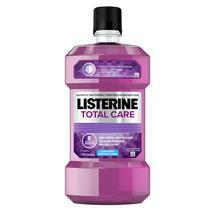 I love Listerine:) and im going to keep use for my whole life for my fresh,nice and health teeth! Thank you!! Rated 5 out of 5 by marie40 from perfect for me! I took the 2 weeks challenge and saw the difference! I recommand Listerine ultraclean. 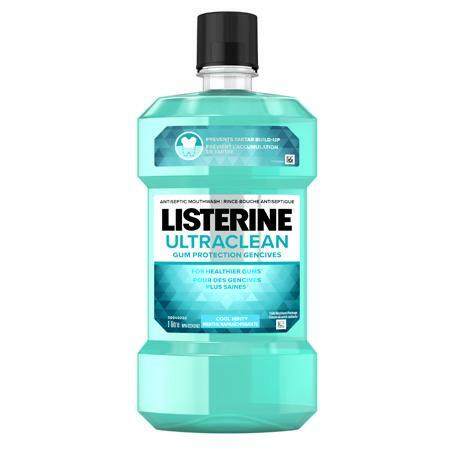 Rated 5 out of 5 by Fungirl1940 from Ultraclean Listerine BEST mouthwash EVER! I highly recommend this product. The quality is best I've ever had. I used to buy cheap mouthwash but you get what you pay for! Rated 5 out of 5 by gleib from Love the smooth teeth Its like a tooth cleaning in a bottle. No dentist middle man! Rated 5 out of 5 by Stephsalim from Absolutely highly recommended. I rinse every day before and after brushing. Being a light smoker, I try very hard to still keep my smile bright. The advertised "smoker mouthwash" didn't do it. Regardless I saw this challenge and decided once and for all to prove to myself which is really the best. I never give up a challenge. I've been using this product prior to the challenge, but day 1 of the challenge I intensely checked the progress for the remaining 13 days, and Lo and Behold what you advertise is what you get. I will never again change to another brand. I found the one. Your team in marketing, Get a morning talk show to sponsor this challenge. A full 14 day, monitered, in house same challenge, with close up pictures. Prove to the world that this is the one. Mothers watching morning talk shows will make sure their children will start to use this brand. I love it, and am now devoted. Thank you.